Highly technical, breathable fabrics make the running jacket an essential piece of kit for every runner. When running in colder or wet conditions the jacket helps to sustain the microclimate of the human body by simply keeping you warm and dry. 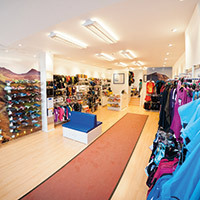 Windproofs are very lightweight and easy to pack away, suitable for windy but not very cold weather. Water resistant jackets are 100% windproof and very highly water repellent, plus a bit more breathable in comparison to the fully waterproof ones. Waterproof jackets have taped seams which make them fully waterproof and suitable for extreme weather conditions. Gilets are sleeveless vests and make a really practical addition to your exercise wardrobe. You can use them in any temperature – layer over a warm thermal in cold conditions, or throw over a tee in mild weather – and they provide protection for your engine (your body!) without the risk of overheating. Water-resistant jackets are 100% windproof and very highly water repellent, plus a bit more breathable in comparison to the fully waterproof jackets. Only in heavy rain or long runs in consistent rain will you notice it getting through to your baselayer. These jackets are of a higher quality than windproof jackets, making them a little pricier, but worth it in the long run (excuse the pun) as they’re more durable. Ideal if you need rain protection but overheat easily or want the reassurance of all-weather protection. Due to the weather protection they’re a little warmer than windproofs and you’ll need less underneath except in very cold temperatures. However they’re fully breathable, so will be comfortable up to mild temperatures. Waterproof jackets have taped seams, making them fully waterproof and suitable for extreme weather conditions. There are still very light with added vents for increased breathability, though they’ll never feel as breathable as a water-resistant jacket. A good investment which, when looked after, will last you years and years. After watching your video on "Choosing Running Jackets" I am still confused. I don't understand why the gore jacket (and many more) don't have a hood? Rain driping on your back is realy frustrating. I am willing to "pay" with weight and some watherproofness. A good jacket to consider is the ON Weather Jacket. It has two side pockets plus a chest pocket that you can fold the jacket into. It isn't a bright colour but it does have good reflective touches. There is a hood and the material is strongly water repellant, though not waterproof. 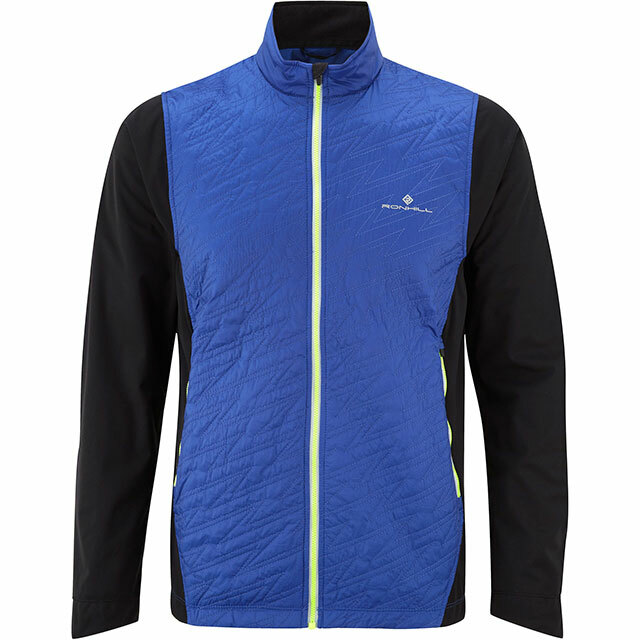 It is a firm favourite with our staff as it's so lightweight and breathable. There's no built in mitts but the cuff is cut longer to cover part of the back of the hand. 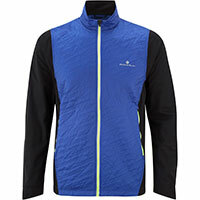 Alternatively you could consider the OMM Kamleika Race Jacket that comes in a bright blue. It is fully waterproof, light, with two side pockets and a hood. There are thumb loops in the cuffs and when pulled over the thumb the jacket protects the back of the hand. On both the material is flexible and light, there's none of that stiffness that used to be associated with waterproof jackets. The running jackets don't tend to have two way zips anymore, mostly because brands are looking to keep they jackets as light as possible but also because in the past people struggled to do them up quickly, plus the zip at the bottom used to irritate a bit as it banged against the body. I guess the sturdier outdoor Gore jackets still have the two way zips.